Antalya, Turkey- May,17,2018. Children's festival mini disco in the Turkish resort. Children dance in front of the stage. Animators entertain the kids in luxury resort. 4k00:21Antalya, Turkey- May,17,2018. 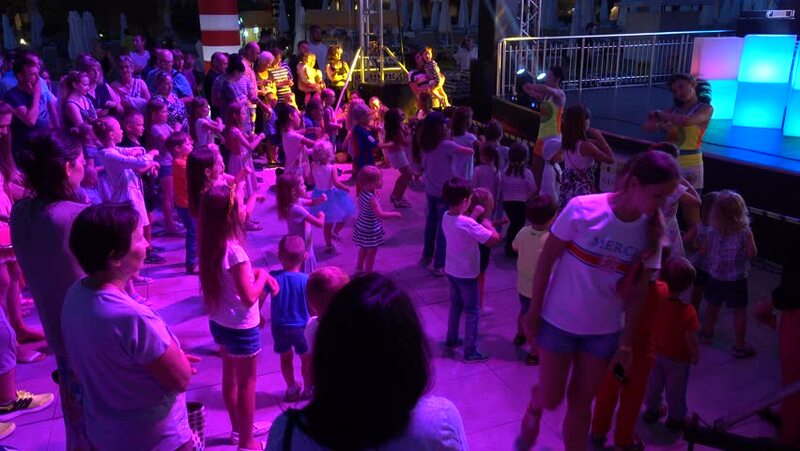 Children's festival mini disco in the Turkish resort. Children dance in front of the stage. Animators entertain the kids in luxury resort. Entertainment concept.